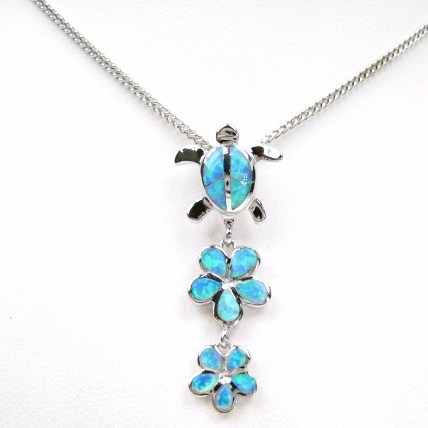 This striking Sea Turtle Pendant is made of finest sterling silver with Created Opal. The pendant has a loop to place the pendant on any chain. Makes a great gift item for sea turtle lovers in your family, friends, loved ones, or even yourself. Velvet pouch and Gift Box Included! Pendant measure approximately ¾ inches wide, 1 ¾ inches tall.